I read this article and found it very interesting, thought it might be something for you. The article is called The Army’s Wage Bill and is located at https://archive.indiaspend.com/sectors/the-armys-wage-bill-84271. A recent army-related controversy centred around a letter sent by Indian Army Chief General V K Singh to the Prime Minister Manmohan Singh expressing concern over the state of the major fighting arms. In his letter, General Singh reportedly claimed the Army’s tank regiments were devoid of critical ammunition to defeat enemy tanks while “existing air defence systems cannot effectively protect against enemy air attacks since they are 97% obsolete”. There was more. 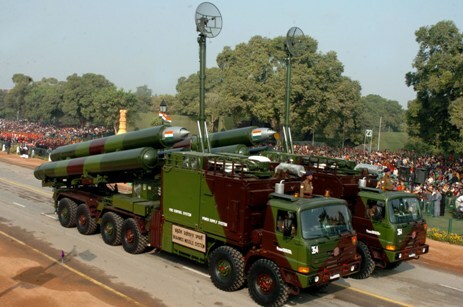 The Union Budget 2012 provided for Rs 1,93,407 crore for Defence services including Rs 79,579 crore for capital expenditure. As IndiaSpend’s Sourjya Bhowmick detailed report on the Defence Budget for 2012 pointed out, India’s defence manpower costs (added with pensions) are higher than most countries, at least proportionately. Let’s look at two heads, salary & pensions and construction for the Army. A sum of Rs 30,723 crore was budgeted in 2011-2012 for pensions while total pay and allowances of the Army stood at Rs 34,544. Construction was budgeted at Rs 4,722 crore. For 2011, Salaries and Pensions, if added come to Rs 65,267 crore. While for 2012, there is a sharp jump with Salaries & Pensions totalling Rs 80,054 crore. In contrast to the overall allocation for the Defence services (Rs 1,93,407 crore for 2012) these numbers could seem large. Incidentally, the Indian Army has a total of 1,325,000 active troops. Now this might seem like a large number but in contrast to China, its lower. The latter is at 2,285,000. Despite the seemingly high numbers, there are still vacancies in the Army, with over 11,456 vacancies. The Capital outlay in year 2009 for the Army was Rs 17,768 crore, while the revised outlay was Rs 12,651. Whilethecapital outlay for 2010 was Rs 16,970 crore, an increase of Rs 4,319 crore. The Army’s capital outlay is used mainly for modernisation. The components are land, construction, other equipments (which accounts for the majority), heavy & medium vehicles and air-craft and aero engine. Also, among the current defence expenditure, buildings and residential accommodation still take up large portions. The Married Accommodation Project (MAP) was formulated in 2001 so that personnel could stay with their family. A total of 1,98,881 Dwelling Units were envisaged for the three services in four phases. The total cost was Rs 17,358 crore. However, the construction in the first phase (which was to be completed by 2005-2006) has only reached 46,385 dwelling units – which roughly translates into 23%. In Budget 2012, the Government allocated Rs 1,185 crore for construction of nearly 4,000 residential quarters for Central Armed Police Forces. The Government also allocated Rs 3,280 crore proposed to be allocated for construction of office building of Central Armed Police Forces.